Who doesn’t love and use Emoji? They express so much more than their old school counterparts :) (I still like them though!) Some time ago I came across an article that explained some of the more mysterious looking Emoji. As Emoji were first developed in Japan, many of the cute little symbols don’t make much sense outside of Japan. In particular, a lot of the food Emoji have left people stumped. Given that, I thought I’d do a few fun posts dedicated to the food items depicted by Emoji and explain how to make or use them. I’m kicking things off with the Rice Ball! Convenience Store Rice Balls. Fillings include salted salmon, tuna mayo and prawn mayo. Cheap and healthy snacks! 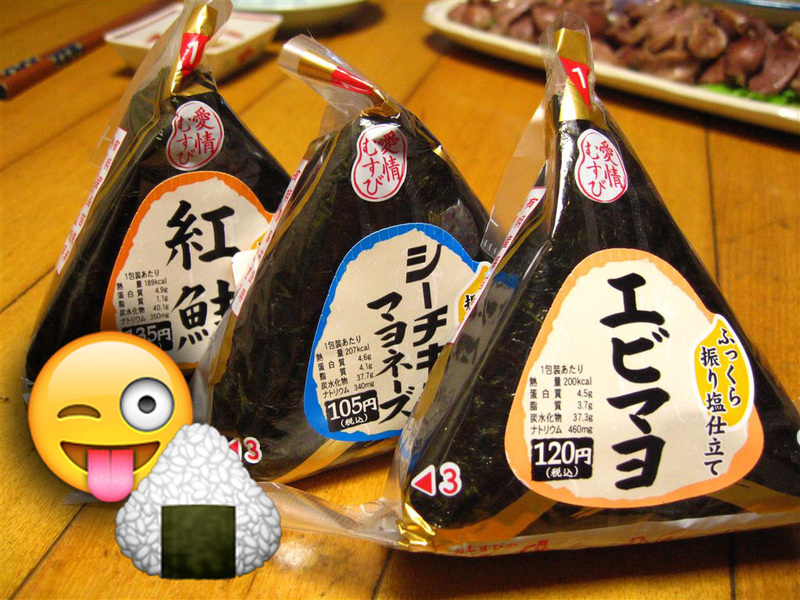 My mother always made onigiri as I was growing up. She would wet her hands first which made handling the hot rice easier, and prevented the grains from sticking. I have no idea how the balls of rice ended up triangular, but to do this day, I haven’t mastered the technique. 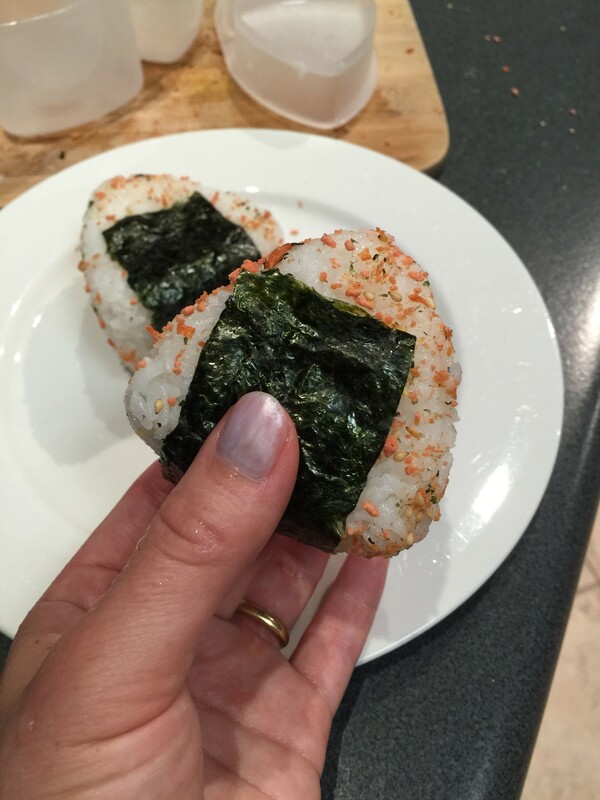 My mother still makes onigiri for me and the kids from time to time, but she does the barrel shapes these days. Rice balls in Japan are pretty much the ‘sanga’ of Australia. Like sandwiches, they are quick and easy to make or you can grab one from the local convenience store. 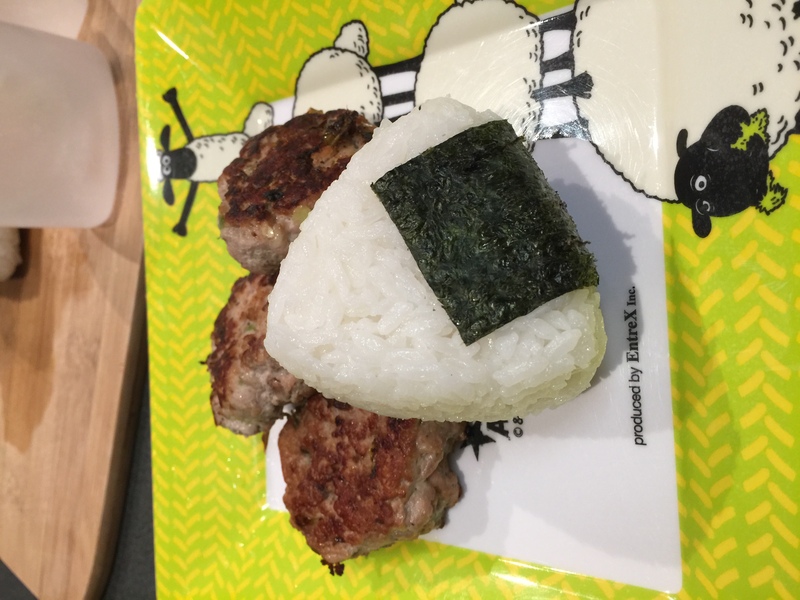 In a Japanese household, it’s common to use up any leftover rice after dinner to make rice balls for lunch or a snack for the following day. Onigiri (also known as Omusubi in Japan) can be plain and lightly salted, or filled with something tasty and rolled in toasted sesame or furikake (flavoured rice topping, but more about that another time). As an extra treat, some people grill rice balls with a sweet soy basting sauce (yaki onigiri) which adds a nice crunchy, chewy layer. At home, I make ‘rustic’ (read, badly formed) rice balls. 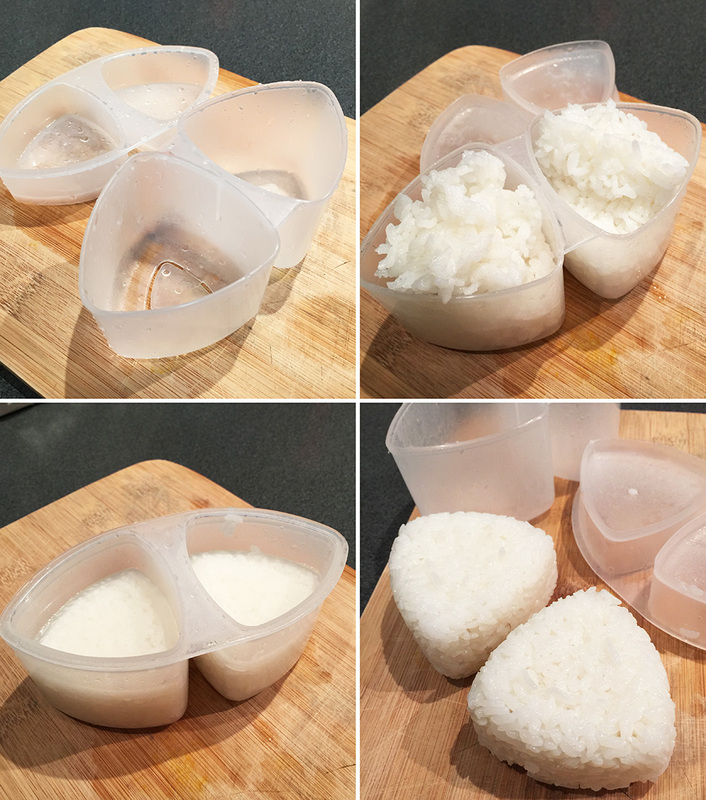 Fortunately I now have a few onigiri moulds which make perfectly formed triangular rice balls (and other shapes!). 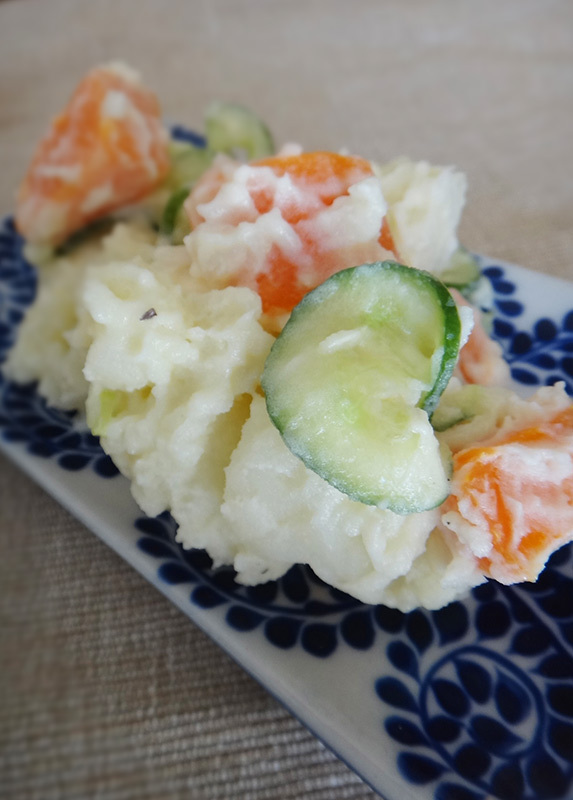 A lot of Asian Grocers stock these but otherwise check these onigiri moulds available at J-Box. 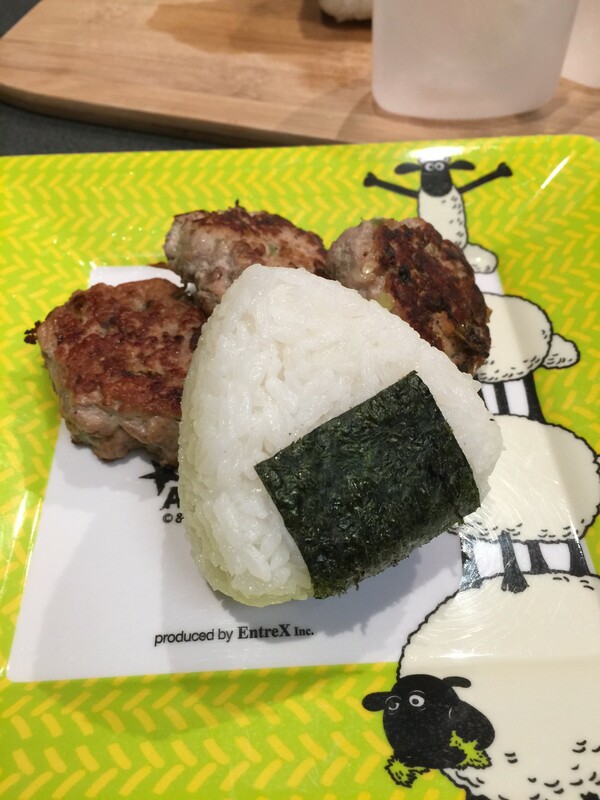 Instead of a bowl of rice, I like serving the kids a few rice balls which they find easier to eat. 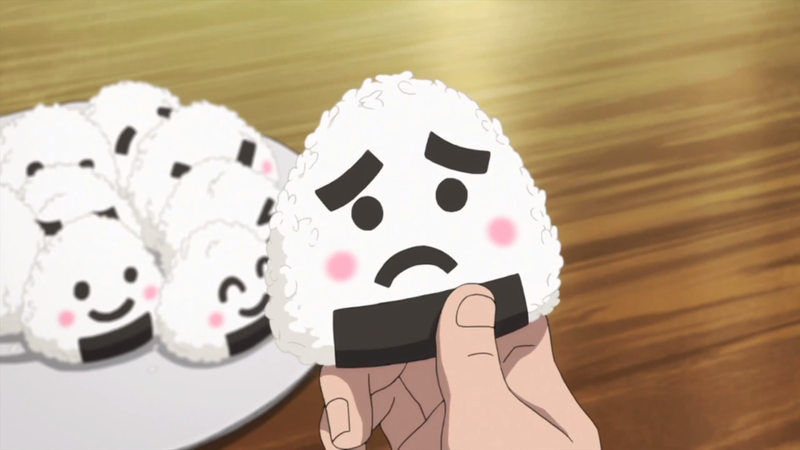 For the perfect rice ball, shape them while the rice is hot but cool enough to handle. Wet either your hands or the moulds to help keep the grains from sticking to everything but each other. 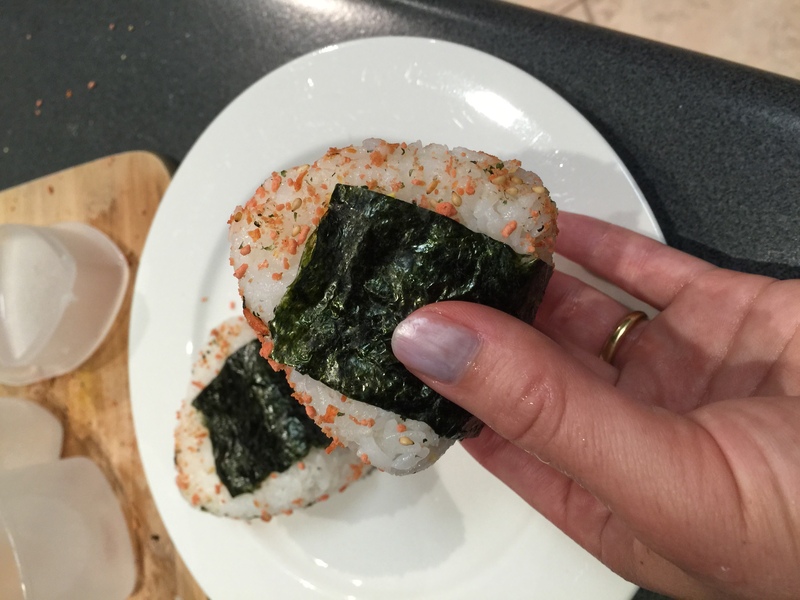 It’s fun using dried nori seaweed to wrap the rice balls in or use as decoration, but I recommend letting the rice balls cool to room temperature first, if you’re not in a rush. Otherwise the dried seaweed will get soft immediately from the moisture. 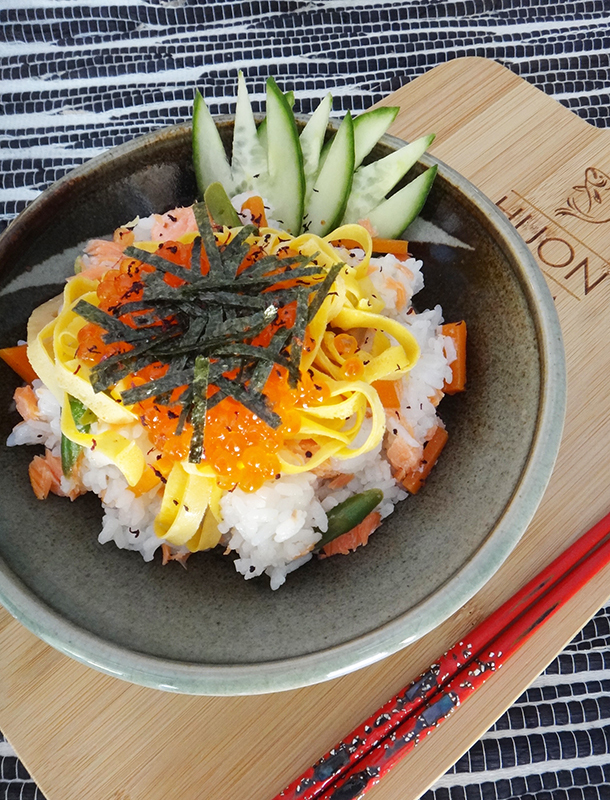 Suggested fillings that will appeal to non-Japanese people include tuna mayo (just like in sushi rolls found everywhere these days) or egg and mayo. 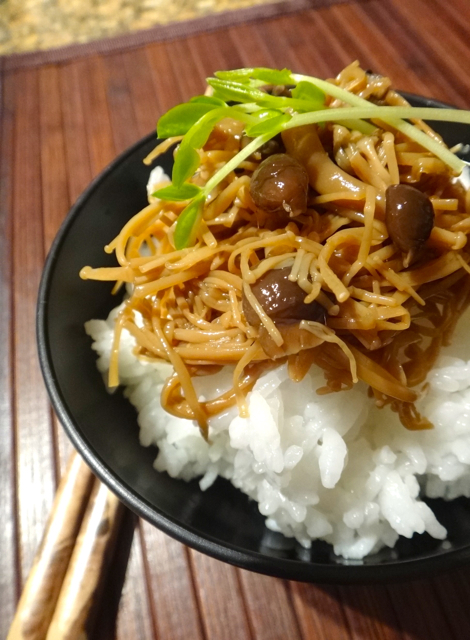 I like pickled plums but it’s an acquired taste, as are most of the traditional fillings loved by Japanese people. Basically, whatever you enjoy eating with rice will work really nicely as an onigiri filling, be it Kimchi or shredded BBQ chicken. Try and enjoy!